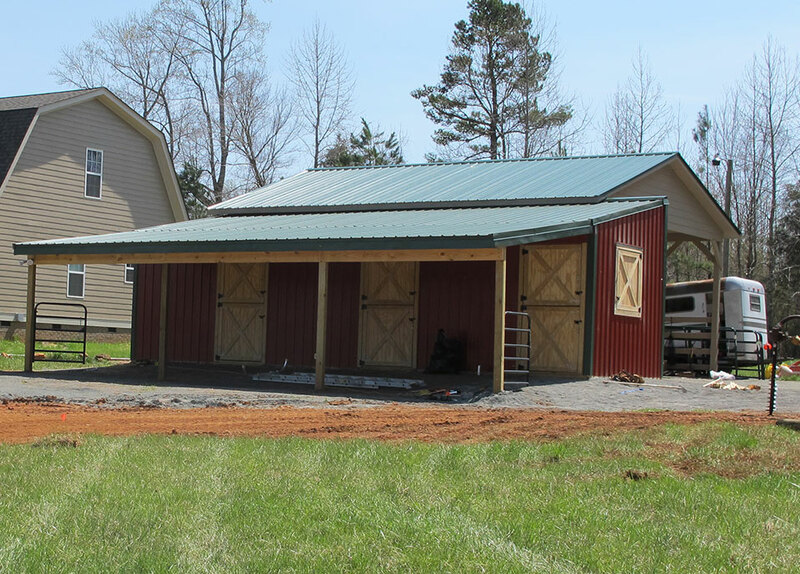 This private barn located in Pittsboro, NC wanted to renovate an existing carport into a barn. We added three custom stalls including a shed row. We also created a dry lot and built a small 66’x132’ dressage arena.